OUAT application form 2019. Check Orissa University of Agriculture Application form last date. See the detailed OUAT 2019 application form filling procedure. Get the direct link to apply for OUAT Common Entrance EXamination 2019. Refer eligibility criteria to fill OUAT online application form 2019. Latest News: OUAT 2019 Application Form for UG courses has been released. Check below for OUAT Apply Online link. Orissa University of Agriculture & Technology will conduct the Common Entrance Examination for Admission into B.Sc.(Hons.) Agriculture/ B.Sc.(Hons.) Horticulture/ B.V.Sc. & A.H. / B.Tech.(Agril. Engg.) / B.F.Sc. / B.Sc.(Hons.) Forestry & B.Sc.(Hons.) Community Science in the affiliated colleges of OUAT. Orissa University of Agriculture & Technology will organize the exam for the academic session on 28th April 2019 for entry into the undergarduate courses. Therefore, candidates first fill the OUAT application form 2019 to write the entrance examination. The authority invites only Online application forms. So, the willing candidates should fill the OUAT 2019 application form through online mode only. Before, going to begin the Orissa University of Agriculture application form filling process, check the eligibility criteria. If you are ok, then only continue the OUAT apply online process. Refer how to fill OUAT entrance exam online application form 2019. Here, we have given the total procedure regarding the OUAT online apply. Candidates are required to fill the two forms for admission to the Agriculture Undergraduate courses in OUAT namely Form A & Form B. Applicants should submit the OUAT application form A before the entrance exam. The applicants those who submitted the form A successfully through online mode are only eligible to take the Common Entrance Examination. OUAT 2019 application form filling process includes the basic furnishing details, uploading images of signature & Photograph and registration fee payment. Candidates are not required to send any hard copy of the online form A to the office. Individuals should fill the OUAT 2019 online application form B after the completion of entrance exam. Candidates need to submit the form B to get the admission in the OUAT, Bhubaneswar. Go to the below sections to check the complete details to finish the Orissa University of Agriculture and Technolgy online form 2019 filling process. Also, view eligibility criteria and important dates related to OUAT Common Entrance Examination. Applicants should be of Indian Nationality. The Candidates age must be 17 years and born on or before 31st December 2001. Students should pass the 10+2 Science examination. Must have 50% aggregate marks in their qualifying exam (45% for SC/ ST/ PH). +2 exam appearing candidates can also apply to the OUAT CEE 2019. Visit the official website of OUAT, Bhubaneswar. Find the ” Submission of Online Application Form – A“. Click on the mentioned link to fill the online form for Admission into the OUAT Undergarduate courses. Aadhar card is mandatory while filling the OUAT 2019 application form – A. Applicants should upload the scanned images of passport size recent colour photograph and signature. The images must be in JPG/ JPEG format. Candidates are advised to link the Aadhar Card number with the mobile number. Applicants are advised to give validity mobile number and Email ID. All the information regarding the admission of OUAT will be sent the registered mobile number and Email ID. 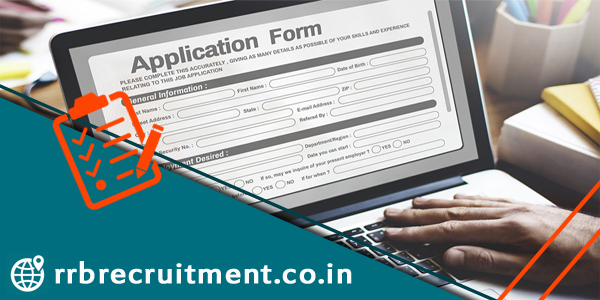 After completion of the process of OUAT apply online, Candidates have to submit the OUAT online application form 2019. On successful submission of the OUAT application form 2019, applicants get a mail to the registered Email and mobile number. This mail contains Login ID, Password and unique application number. Candidate will not share the Id, password and application number with others. Next, individuals have to pay the application fee. The OUAT application fee is Rs. 1200/-. Candidates can make the OUAT 2019 registration fee through Debit Card/ Credi Card/ Internet Banking or any Bank. OUAT application online submission and fee payment in cash can also be made through the Jana Seva Kendra (Common Service Centre). Application Fee once paid, not refundable and transformable. No need to send any hard copy of the OUAT application form 2019 to the Orissa University of Agriculture and Technology. >> Also, check your OUAT 2019 Result. Candidates should submit the OUAT 2019 online application Form – B is necessary to get admission into UG courses of OUAT. Applicants have to visit the official site and click on the “ Submission of Online Application Form – B“. Candidates can also login to their account by using the login ID and Password. After successful submission of OUAT application form – B, a confirmation mail will be sent to the registered Email and Mobile number. Take the printout of the filled OUAT 2019 application form – B. Candidates are not required to send any hard copy of the OUAT online application to the university. Certificate as proof of OUAT employee from the register, OUAT. Permanent residential certificate for Western Odisha. Bookmark our RRB Recruitment site to check the latest updates on OUAT application form 2019.